The majority of our temporary structures are 'bespoke' designs, built specially to take into account the configuration of the site and the unique wishes of our clients. 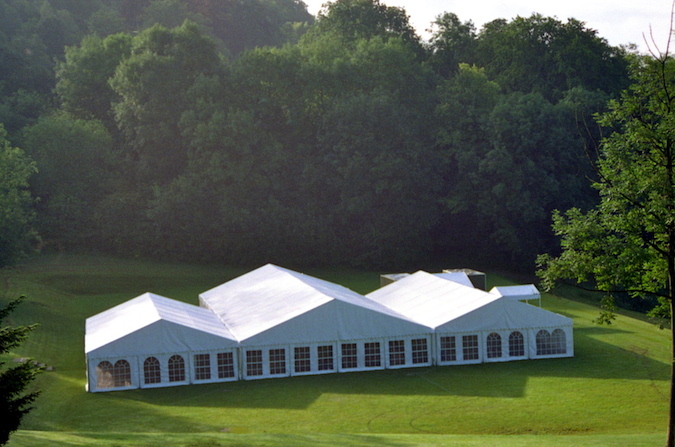 Naturally we factor in (at the design stage) possible weather conditions well in advance of the event for peace of mind. All Camelot structures are Clearspan - no guy ropes or poles to trip over. 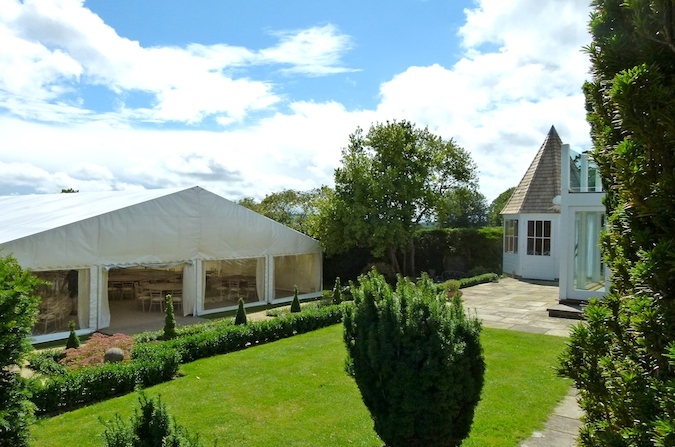 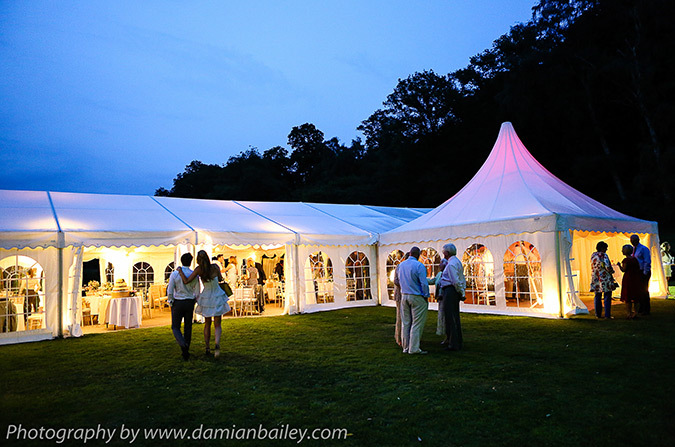 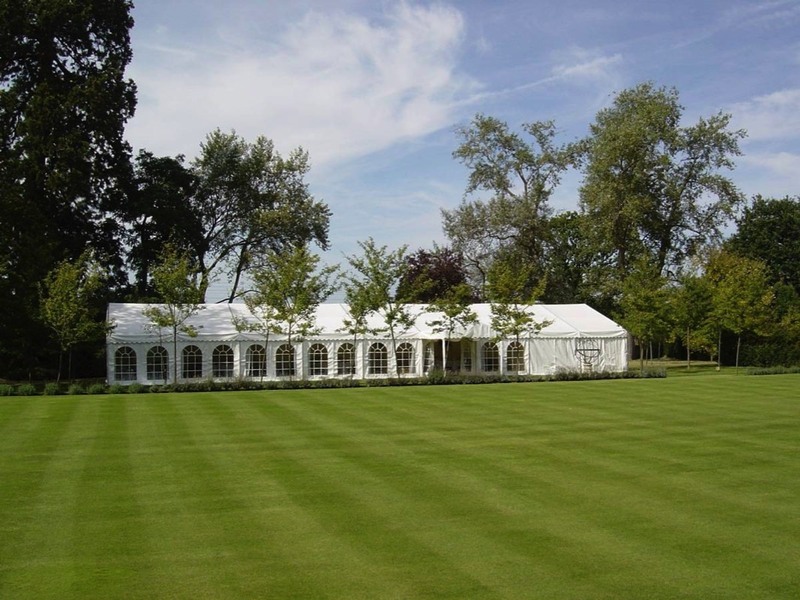 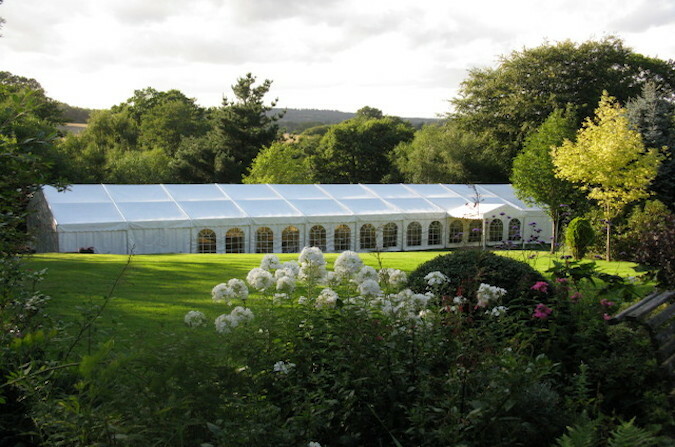 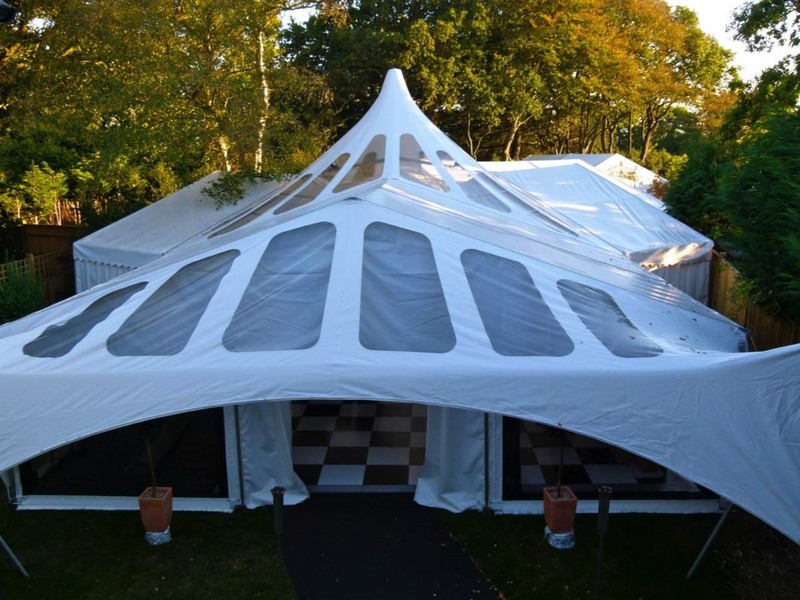 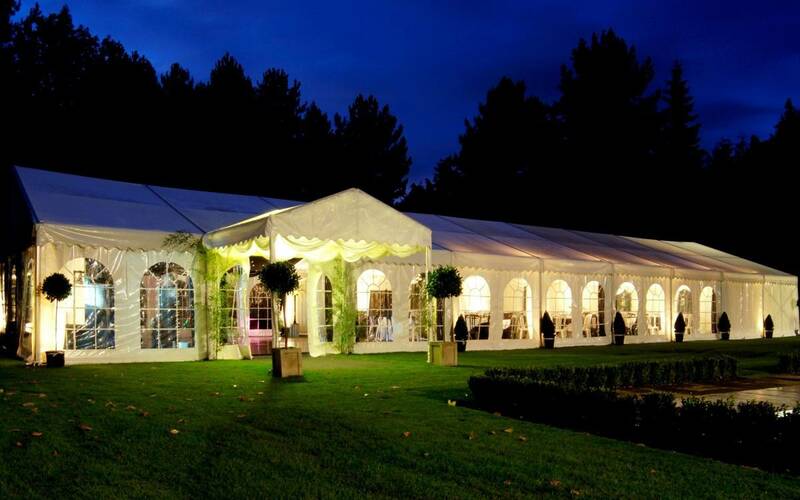 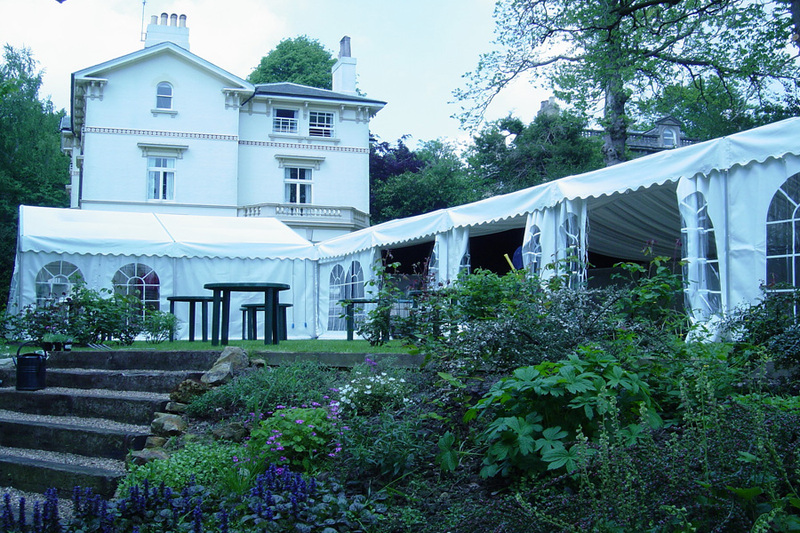 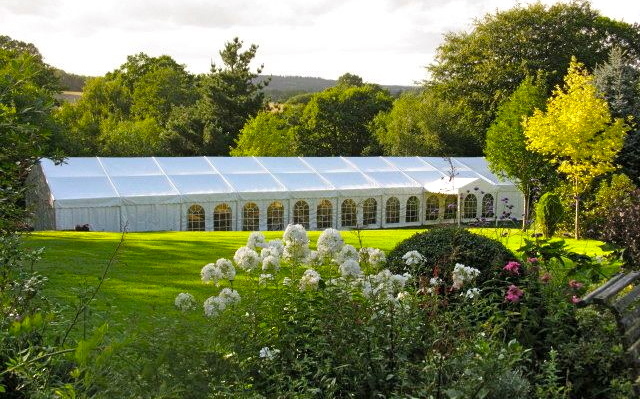 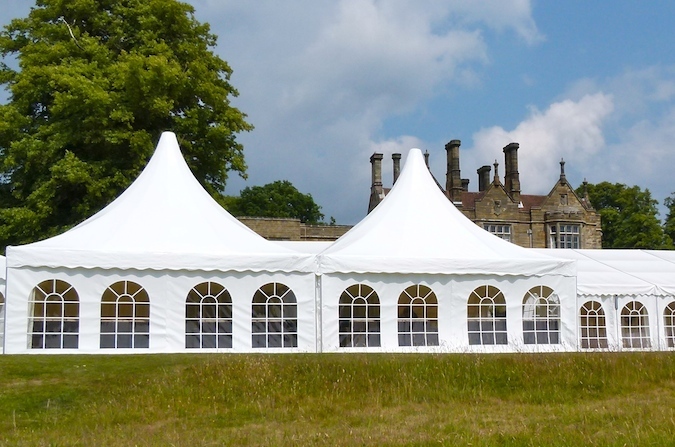 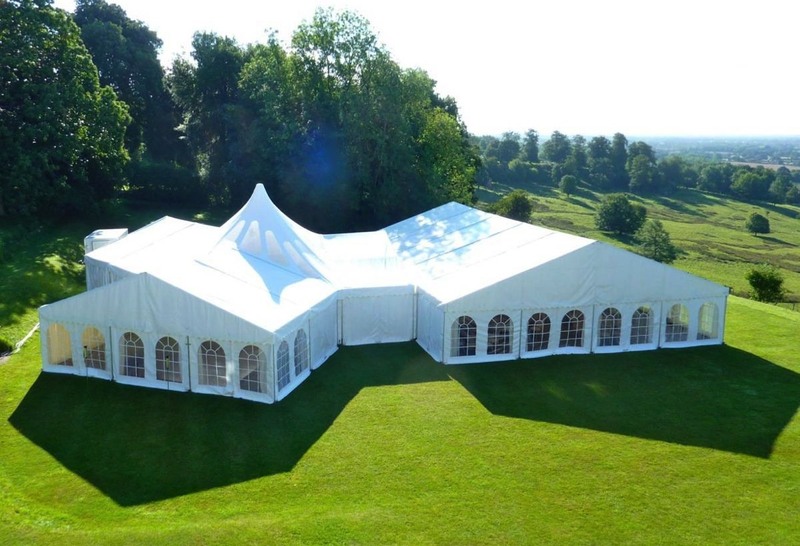 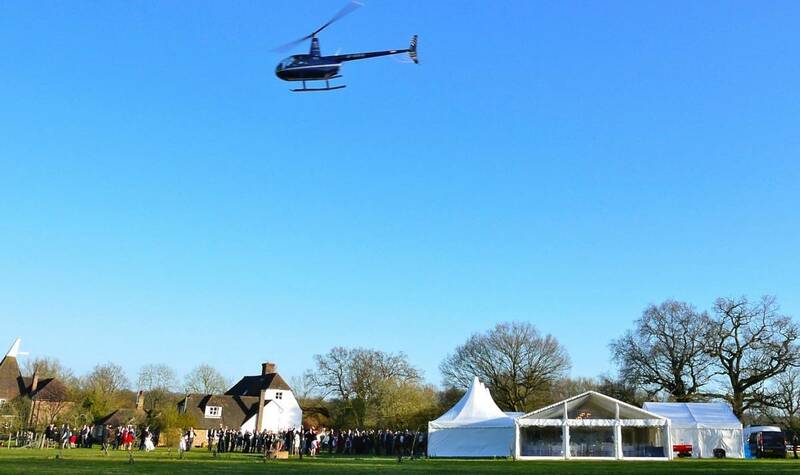 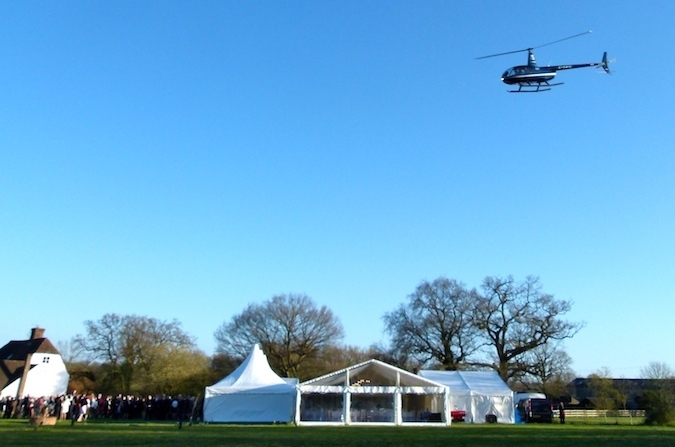 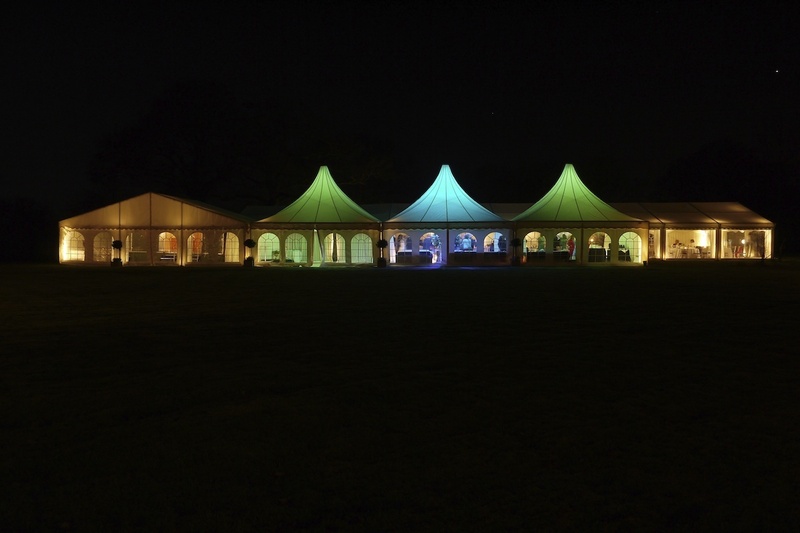 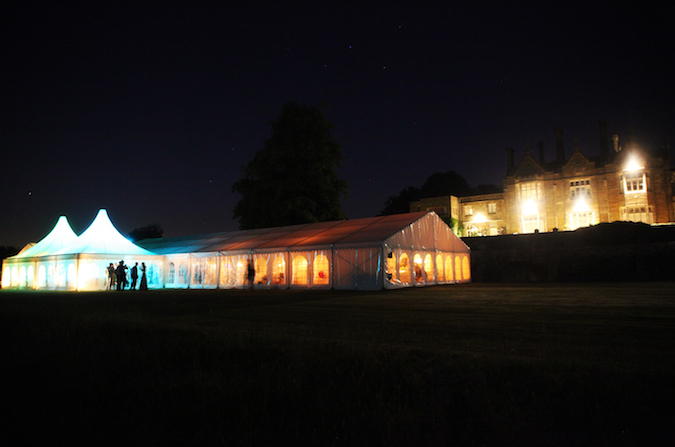 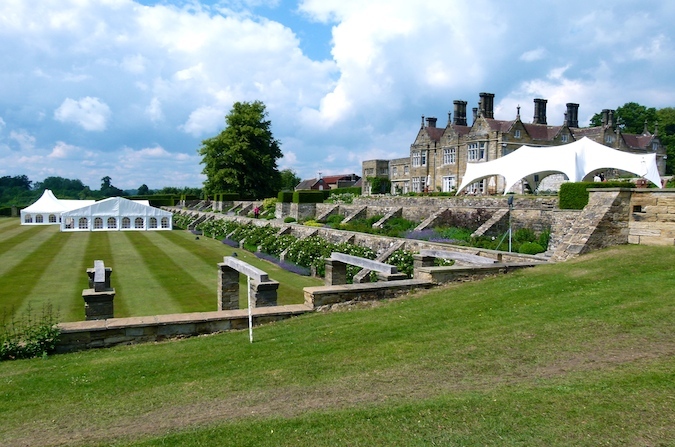 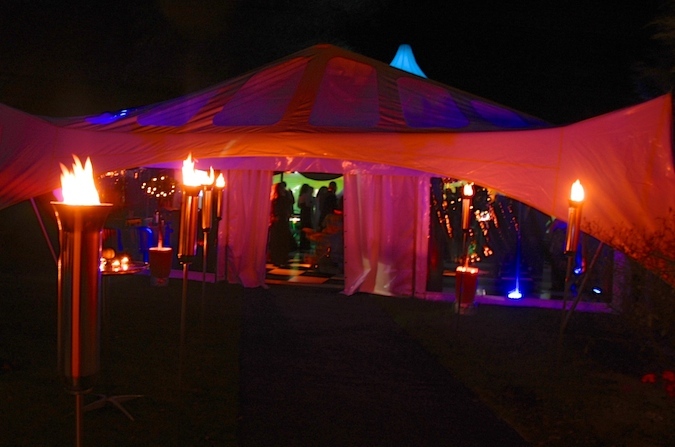 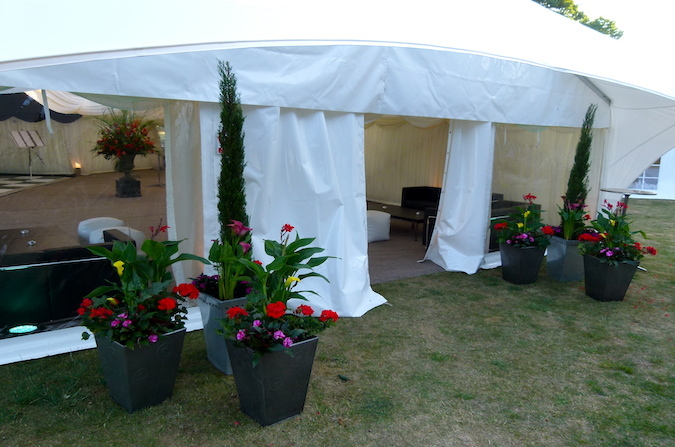 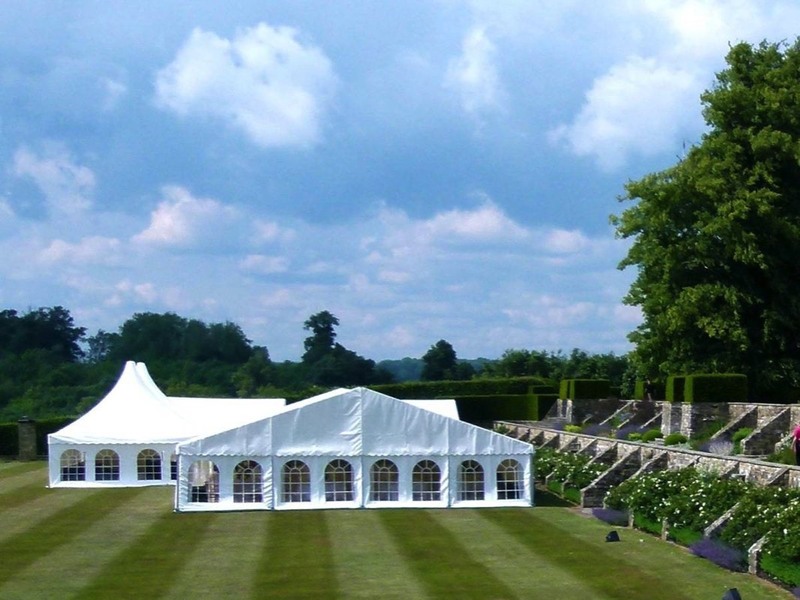 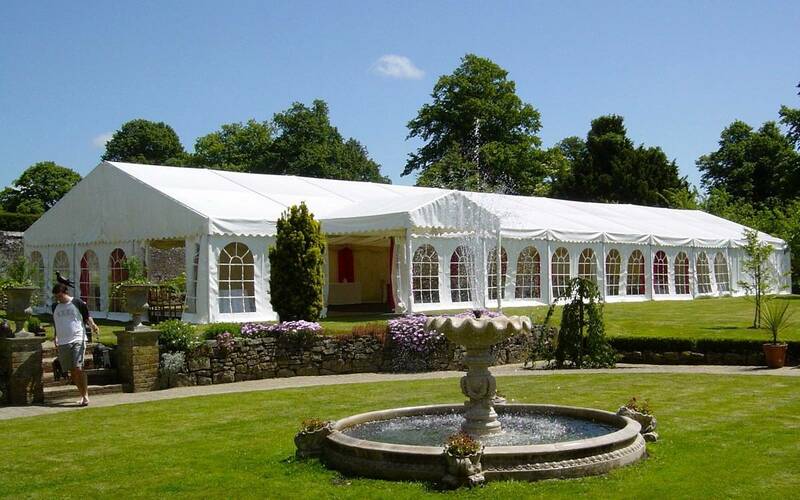 Service marquees are directly linked for weatherproof cover. 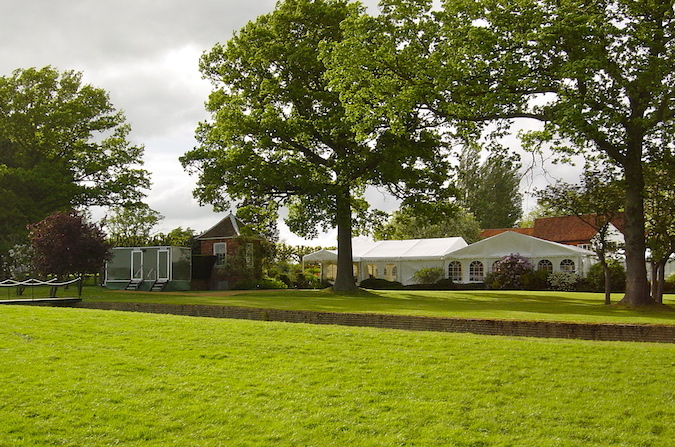 Included opening windows allow access, airflow and panoramic views. 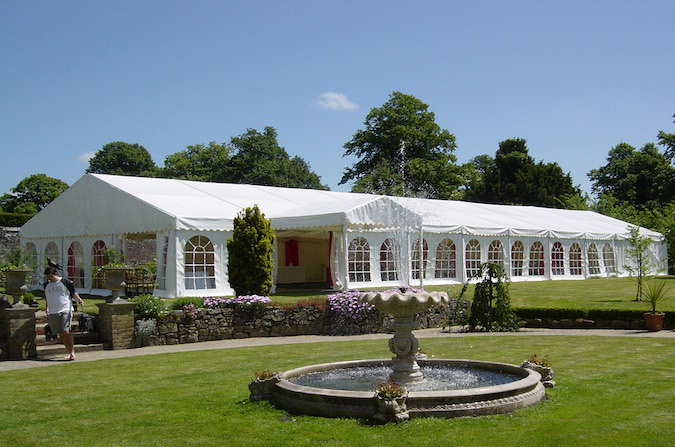 Our design team will discuss window & plain wall position with you.